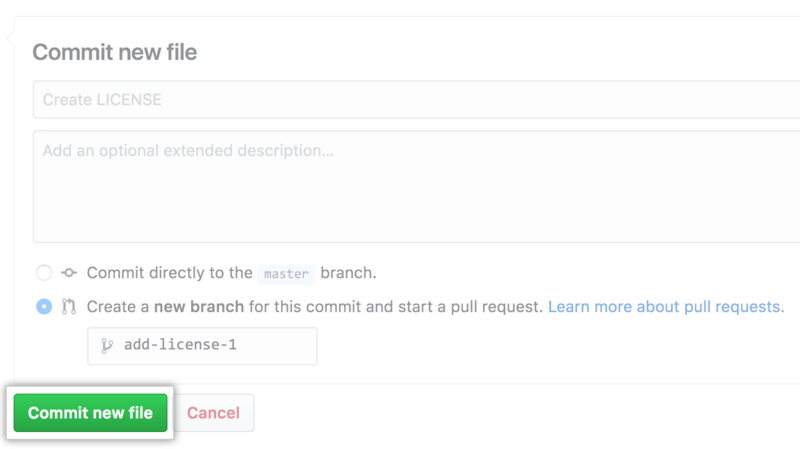 If you include a detectable license in your repository, people who visit your repository will see it at the top of the repository page. To read the entire license file, click the license name. Open source licenses enable others to freely use, change, and distribute the project in your repository. For more information on repository licenses, see "Licensing a repository." In the file name field, type LICENSE or LICENSE.md (with all caps). On the Edit new file tab, paste the full text of the license you want to use. "Setting guidelines for repository contributors"